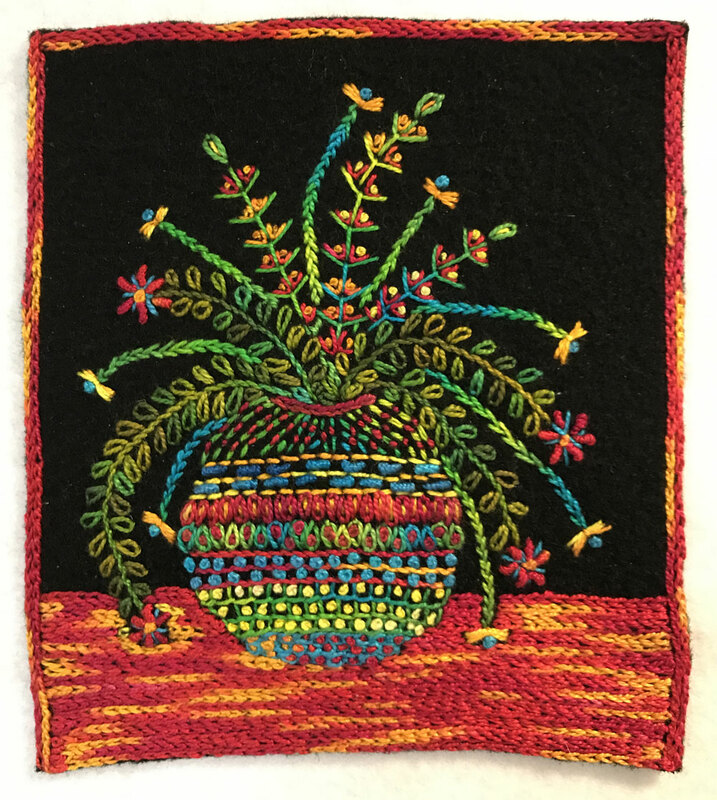 Ready to begin our Flower Vase Stitch Along? This project is designed so we can experiment with lots of stitch combinations along the way. As we progress, you’ll find current directions added to the Flower Vase Tutorial page. 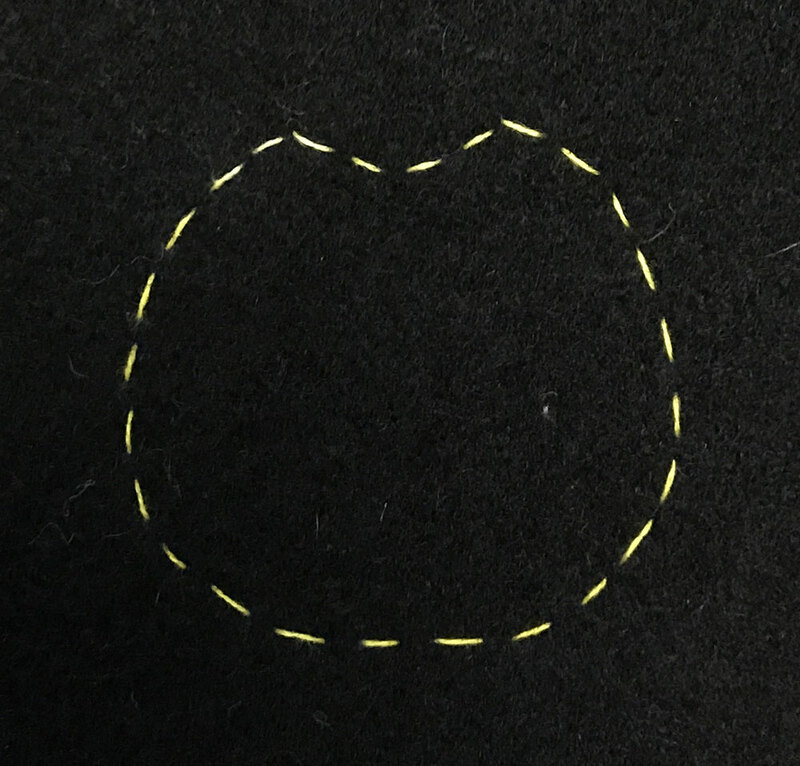 Also, each embroidery stitch will have a link to the Embroidery Stitch Directions for that stitch. And I’ll suggest thread colors but you can do whatever you please! Place the fabric vertically so it is 6″ across by 7″ high. Position the vase tracing about 1″ up from the bottom of the fabric. Pin the tracing into place and follow the directions on the Flower Vase pattern to transfer the vase shape to the background fabric. Stitch 3 rows of Chain Stitches across the base of the vase using the blue thread. 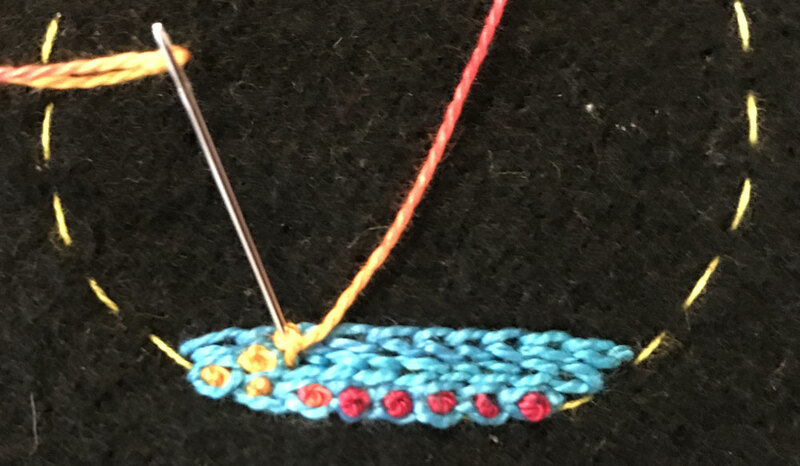 Fill in each loop of the Chain Stitch with a French Knot using the red thread. 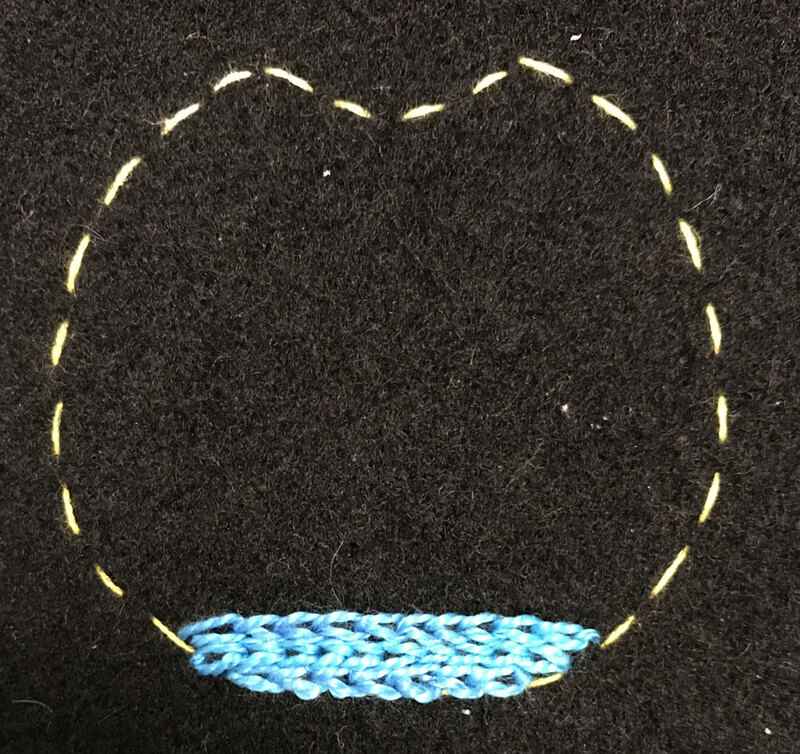 Enjoy your first stitch combination! 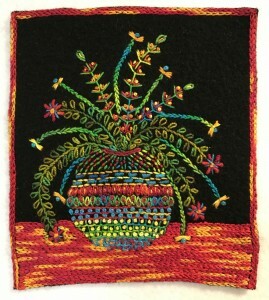 This entry was posted in embroidery, Stitch Along, tutorials, Vase of Flowers, wool by Laura. Bookmark the permalink.